Blue roses are not something we usually find at florists. These silk blooms, however, make it possible to decorate any room with this luxurious shade of blue. This bouquet includes 9 perfect silk stems made from the highest quality silk, plastic, and foam. 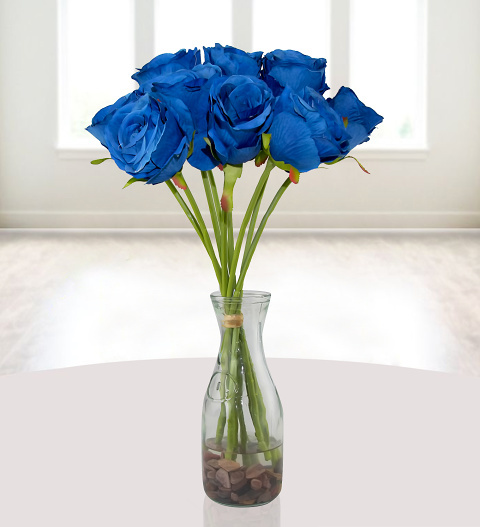 They are set in a glass vase with pebbles with resin for the perfect realistic appearance. Spoil yourself or a loved one for any occasion with this superb bouquet.